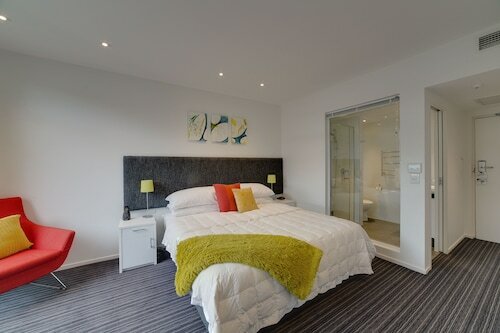 Situated in New Plymouth, this motel is within a 10-minute walk of Govett-Brewster Art Gallery, TSB Showplace, and Saint Mary's Church. Observatory and Puke Ariki are also within 15 minutes. 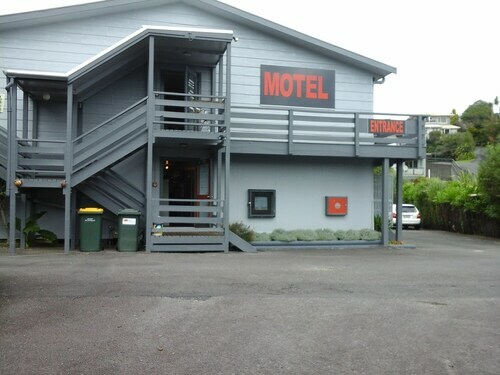 Located in the heart of New Plymouth, this motel is within 1 mi (2 km) of TSB Stadium and Pukekura Park. Bowl of Brooklands and Centre City Shopping Centre are also within 2 mi (3 km). 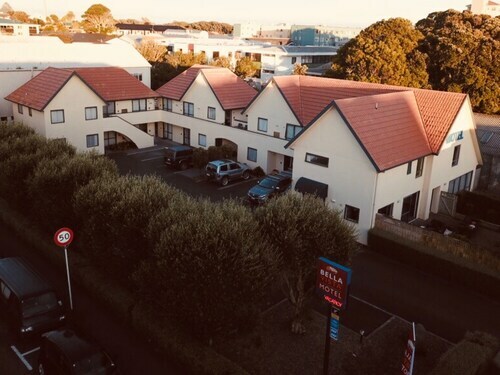 Situated in New Plymouth, this motel is within a 15-minute walk of Saint Mary's Church, Pukekura Park, and Centre City Shopping Centre. TSB Showplace and Brooklands Zoo are also within 1 mi (2 km). 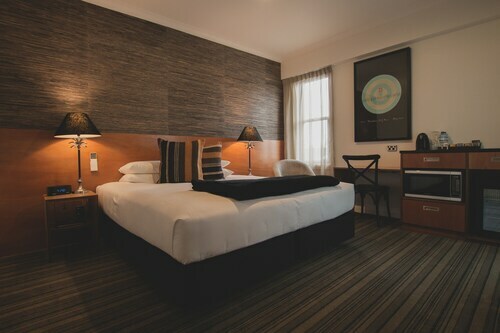 Located in the heart of New Plymouth, this luxury hotel is within a 10-minute walk of Centre City Shopping Centre, TSB Showplace, and Puke Ariki. Govett-Brewster Art Gallery and Pukekura Park are also within 15 minutes. Offering direct access to the beach, this Kaitake villa is 2.1 mi (3.4 km) from Egmont National Park and within 12 mi (20 km) of Oakura Beach and Back Beach. Pukeiti and Paritutu Rock are also within 12 mi (20 km). 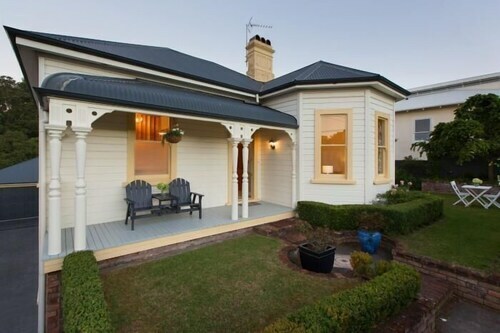 Situated in New Plymouth, this luxury bed & breakfast is within a 10-minute walk of Pukekura Park, Saint Mary's Church, and Centre City Shopping Centre. 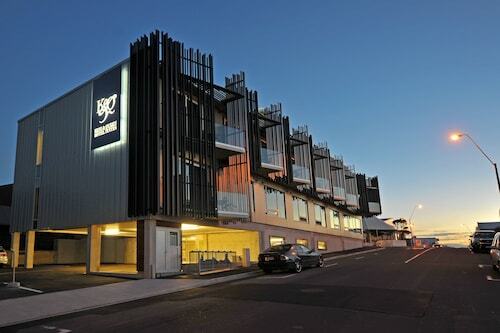 TSB Showplace and Govett-Brewster Art Gallery are also within 15 minutes. Our Taranaki accommodation is in region of contrast’s offering such diversity of environment that you can ski and surf all in one day. With the just thirty minutes drive separating the snow plateaus of Mt Taranaki and the excellent surf breaks of Taranaki’s beaches, both the snow and sand are at your fingertips. Our Taranaki hotels are a perfect base for exploring the breathtaking beauty of the dramatic, snow-topped Mount Taranaki. The mountain is the source of over 50 rivers and streams, the home of many unique plants, and the subject of many stories and legends. In the Maori language, Taranaki means 'Gliding Peak', a name that relates to the legend of its coastal location. As the story goes, Taranaki once lived inland with the other great volcanoes of Tongariro, Ruapehu and Ngauruhoe, but was banished after losing a battle for the love of Pihanga. Taranaki also boasts a spectacular coastline, during your stay in one of our Taranaki hotels visit the award winning coastal walkway, and experience the brilliant views of the coast, from the unbeatable scene of the setting sun at dusk to Len Lye’s awe-inspiring Wind Wand sculpture, which stretches 45m into the air. 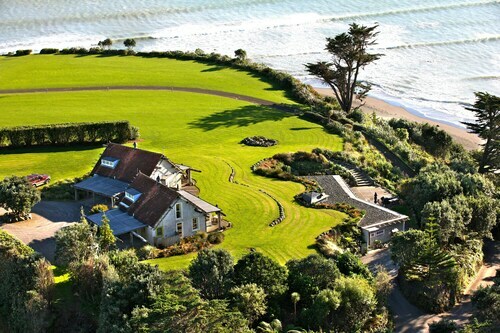 Another reason to stay in our Taranaki accommodation is regions unique coast. The spherical shoreline allows Taranaki’s beaches to collect 180 degrees of swell, and is renowned for its offering of the most consistent surf in New Zealand. For this reason, the highway that flanks the coastline is known as the Surf Highway. Puke Ariki, an interactive visitor centre that explores the history of the region. The centre houses a number of Maori treasures, a full library, museum a wide range of information for Taranaki visitors. 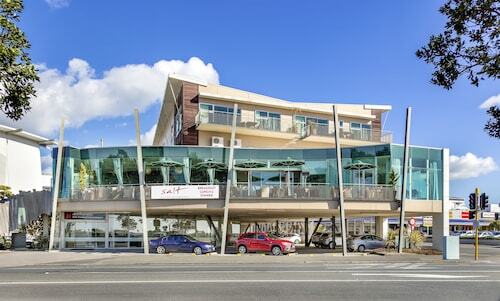 Puke Ariki should feature on any itinerary when staying in a Taranaki hotel. 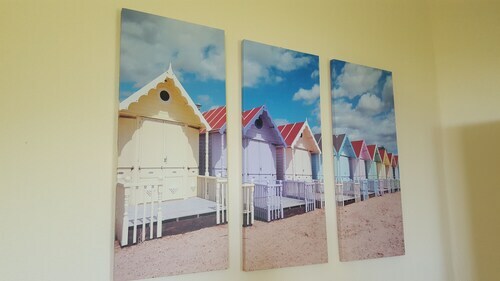 How Much is a Hotel Room in Taranaki? 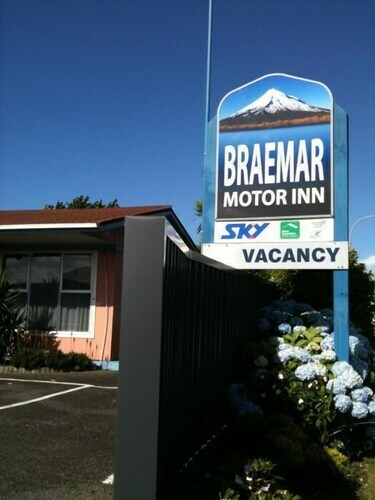 Hotels in Taranaki start at NZ$86 per night. Prices and availability subject to change. Additional terms may apply. The accommodation was nice, the view from the restaurant was amazing anso are the staff and food.